My ongoing obsession with flapjack has turned a corner this week. I’ve discovered a new love. 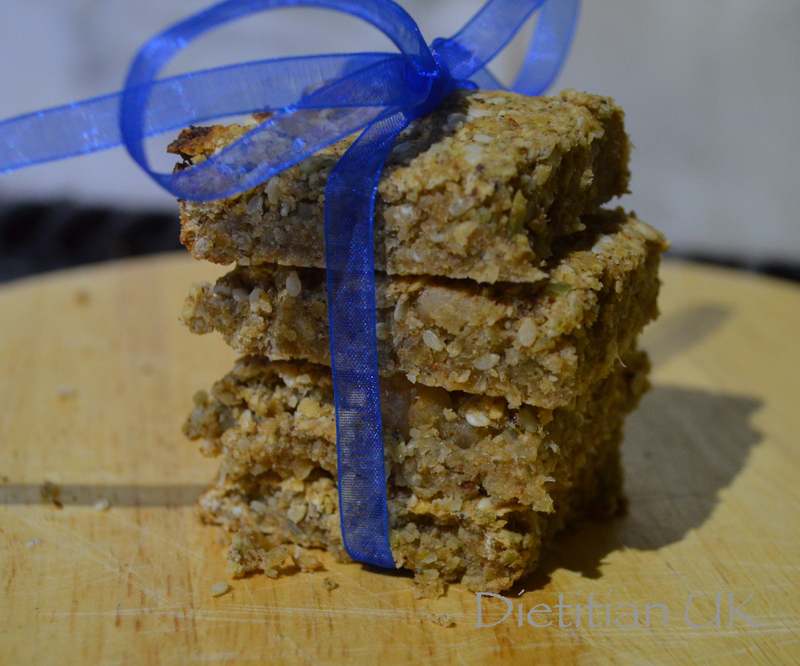 Savoury flapjack. 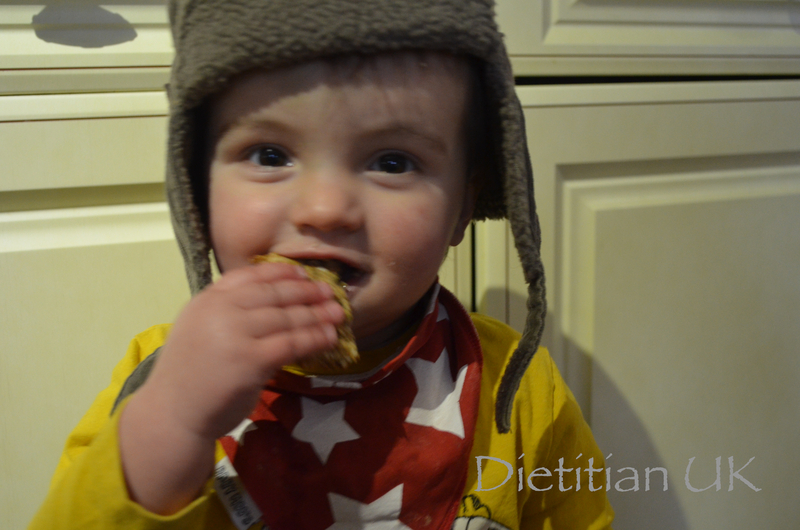 As the J boy has also inherited my flapjack loving genes, I thought it may be a good way to get his veggie love on too. It turns out it worked a treat. So if you want to boost the amount of veggies your family eats, give these a whirl. 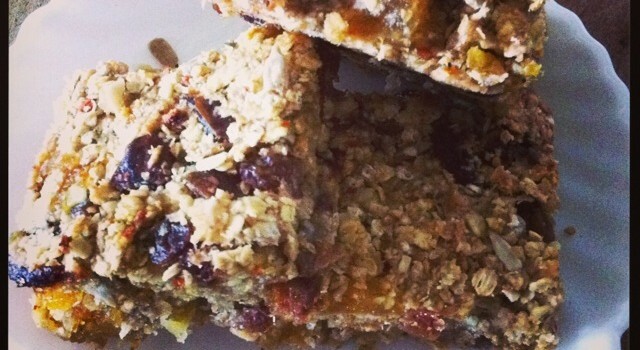 I’ve used carrot in sweet flapjacks and made carrot cereal bars, but these are different. 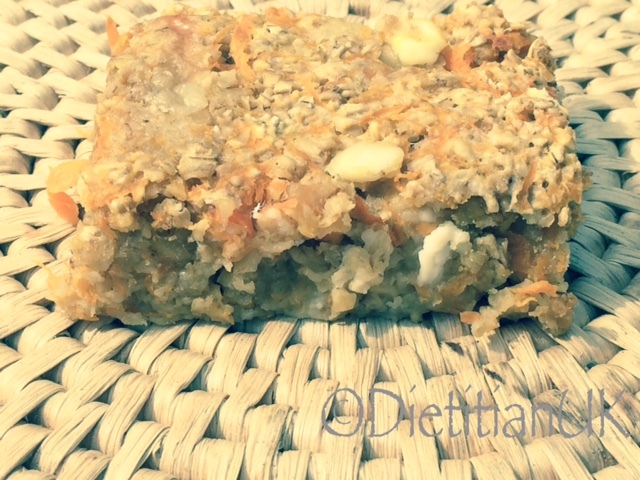 Carrot, cheese and oats. Now I say it I wonder why I didn’t try it out before. The J boy loved these as part of his lunches, as did I. Miss K had to be kept away from them the day I made them as she wanted to eat the lot! 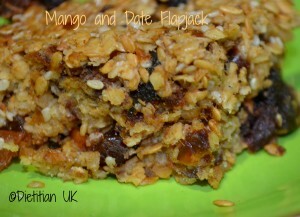 So if you want a different twist on flapjack then try these beauts out. Perfect for snacking or lunches these are a great way to eat your veggies. Peel and grate the carrots, and grate the cheese. Mix with the oats. Add the eggs and herbs and mix well. Press into a greased and lined flapjack tin. Flapjack. Literally it makes my world a happier place. However I’ve had a bit of a problem of late. 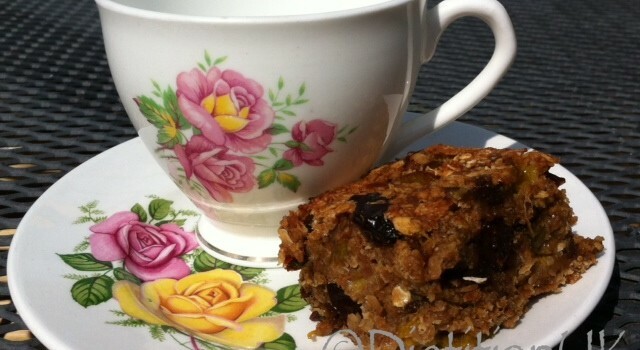 The children are eating the bananas too fast and I just don’t have enough that are going bad to be able to make my signature banana and sultana flapjack. So with a glut of plums in the freezer and the plum tree back in blossom again I’ve created a new favourite. 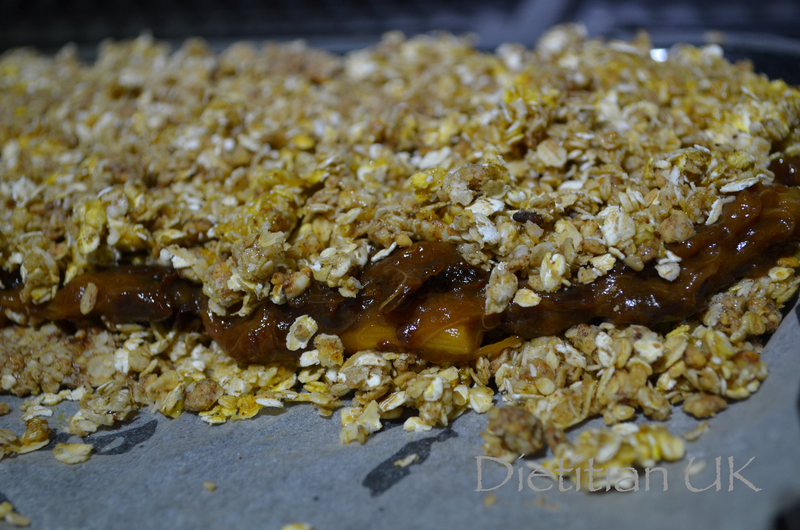 This one is reminiscent of plum and ginger crumble. What’s not to love? I love it because 1. It has ginger in. 2 It isn’t too sweet 3. It takes 10 minutes to knock up and 4. It is flapjack. Miss K loves it’s because is is pink. The J-boy loves it because it is food. I can happily feed this to my children knowing it is packed with wholegrains and fruit. 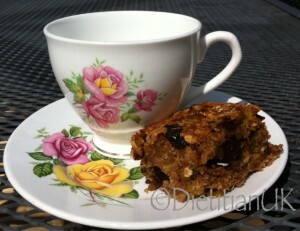 A super healthy, yet tasty flapjack using cooked plums, no added sugar. Gluten free, Wheat free. Mix all the ingredients together and place into the baking tray. You can substitute the Sukrin Gold for 2 tbsp honey. You remember that whole apple and peanut butter craze? If you liked that then you will love these. Don’t fret, if you are not a nut butter fan (my hubby isn’t) then I’m pretty sure you should try these too. Think apple, cinnamon, cloves, almonds, pumpkin seeds, crunchy sesame seeds and a sweet apple undertone. This week we had the scary job of emptying the freezer. By that I mean fitting the contents of my giant “I could fit 5 people lying down lengthways” sized freezer into a smaller “I could fit 5 pre-schoolers lying down lengthways” sized freezer. It was almost like Christmas – finding food that I half knew was there but hadn’t been able to find. To help it all fit I kep t a couple of tubs of stewed apple out. I’ve then had to fight Miss K to have any left for cooking purposes. Cooked apple or apple puree is a wonderful way to add sweetness to cooking without the need for sugar. It reduces the need for butter too. This week a new attachment for my Kenwood Chef also arrived – spice/nut/coffee grinders. So I decided to go for a nutty, apple take for our snacks this week. Boy am I glad I did. 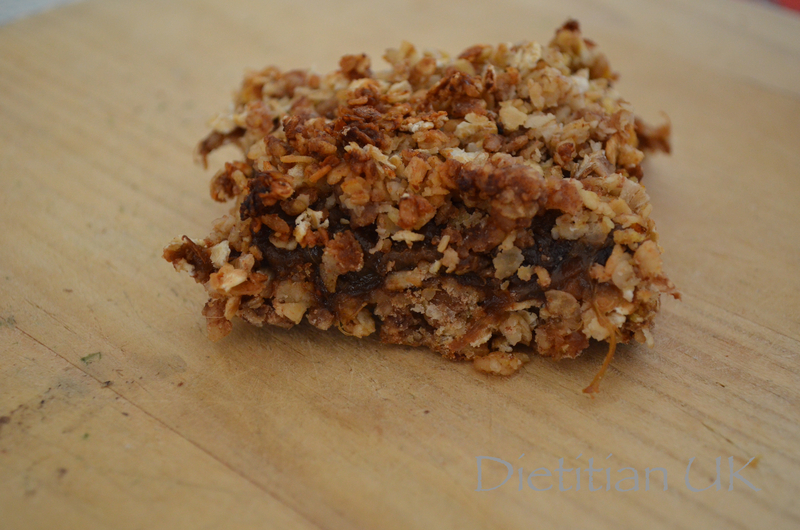 This bar is gluten free, wheat free, dairy free and there is no sugar added to it. WINNER. They are perfect for that mid-afternoon pick me up. With a cuppa if you are a tea-a-holic like me. Grind up the pumpkin seeds and almonds (or use ground almonds). Simple pop all the ingredients in a bowl and mix by hand or use a stand mixer. Spread into a baking tray, to about 1/2 inch thickness. Bake at Gas Mark 5 for 15-20 minutes. 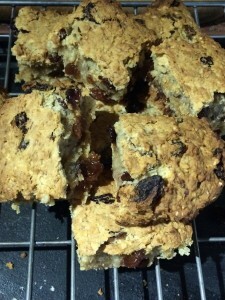 Cut into squares whilst it is warm and leave to cool in the baking tray. A certain small boy is loving these, I’ve had to hide them from him. Teaching him to sign “More” was a big mistake! PS – do you like his hat? Cute isn’t it. We are lucky enough to have a large plum and a large greengage tree in our garden. Cue lots and lots of yummy fruit which cannot be wasted. 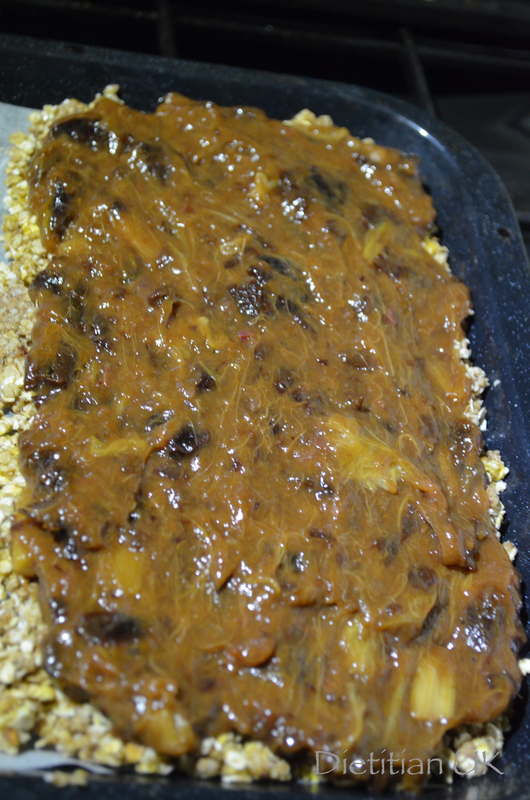 With the immense flapjack love I have and the glut of greengages this one was a no brainer – it worked REALLY well. 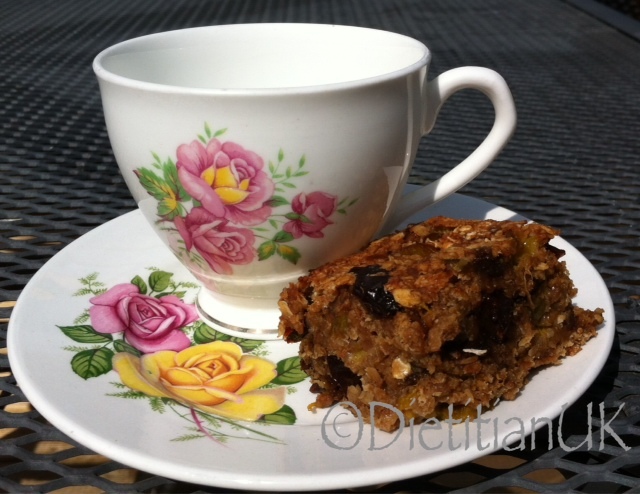 These are healthier as I’ve not added any sugar, the greengages and prunes add sweetness. I’ve reduced the butter and used part peanut butter for monounsaturated fats. 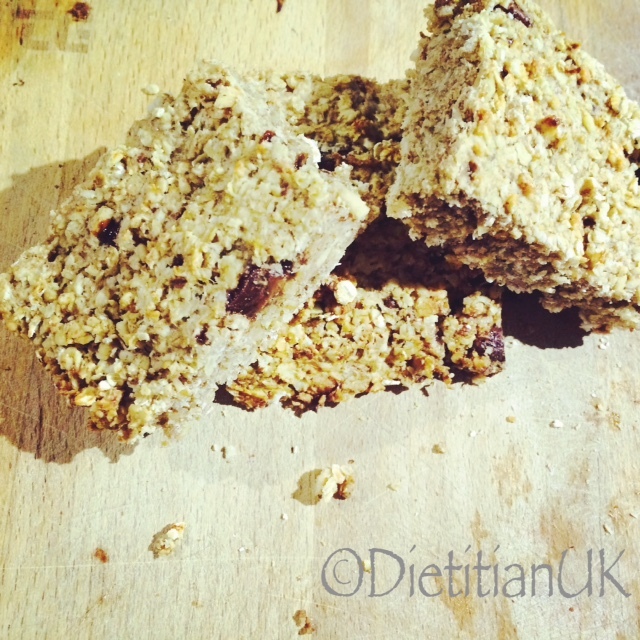 The oats add wholegrain goodness. 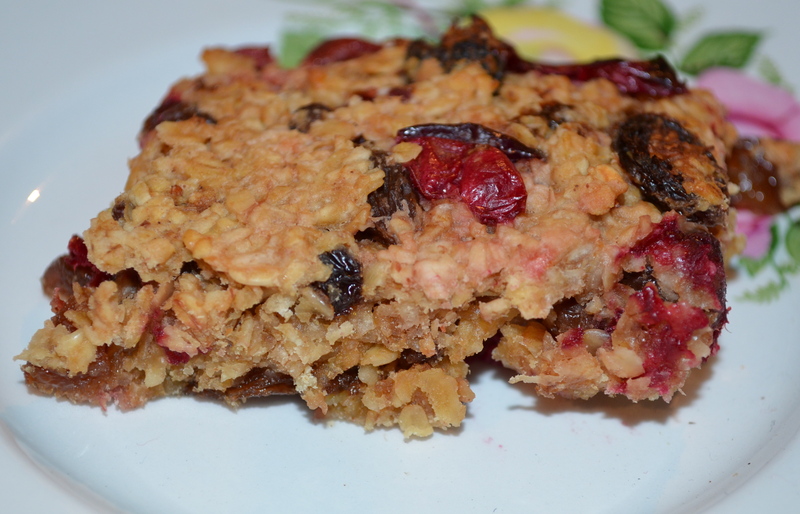 A healthier take on flapjacks that uses the sweetness from the fruit instead of sugar. De stone the greengages and chop each one into about 8 pieces. Chop the prunes finely or blitz in a food processor. Mix the fruit with the cinnamon. Weight out the oats and then mix in well. Now measure out the peanut butter and butter, melt in the microwave then mix into the oaty mix, stirring well. Add about 50ml water to help the mixture bind together well. Press into a well greased and lined tin. Cover the top with foil and bake for 30 minutes then remove the foil for the last 15 minutes. 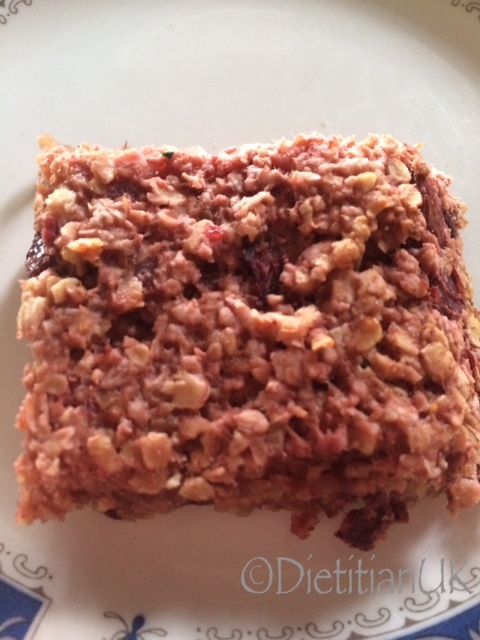 Adapted from BBC Good Food "Sticky Plum Flapjacks"
Now it’s been a couple of weeks since we made flapjacks due to sickness in the household. My oh my, how I’ve missed you flapjack! I’ve found myself looking at the flapjack tin wishing it was full. So today was the day. Myself and the toddler went flapjack-tastic, making our usual banana and sultana favourite and also coming up with this beauty. 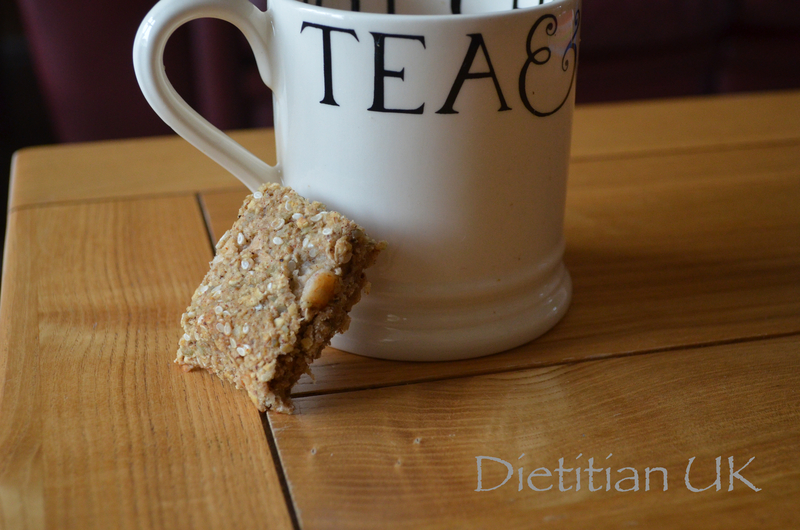 If you like a sweeter flapjack without the extra sugar then this is the one for you. The mango gives it that sweet lift. The linseeds and sesame seeds make it extra nutritious with omega 3’s, iron, zinc and calcium. 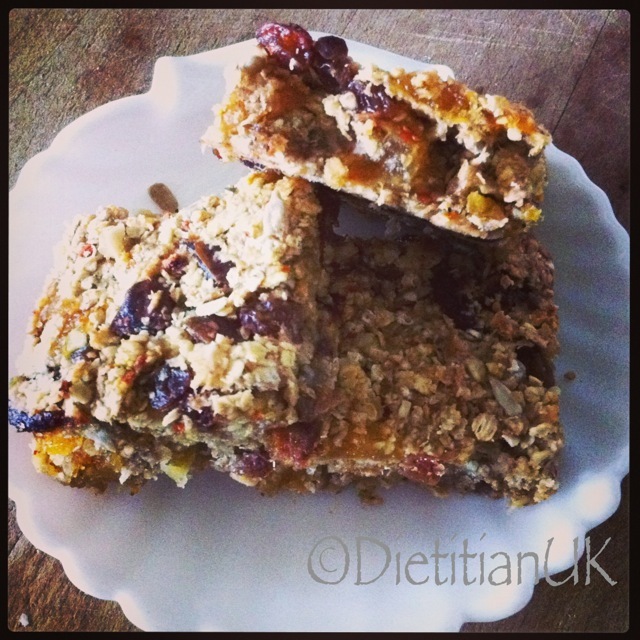 A delicious, mango and date flapjack with linseeds and sesame seeds for extra nutrition. 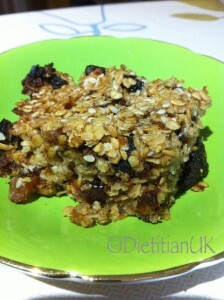 Mix the oats, dried fruit and seeds together. Heat the butter and honey until melted (30 seconds in the microwave and stir). Add the egg to the dried mixture followed by the wet ingredients and mix well. Spoon into a greased and lined tin. Bake at Gas Mark 5 for 30 minutes. Slice whilst it is warm.